Are You Selling Your House Fast In Milwaukee? These tips will help you get your property sold very quickly. 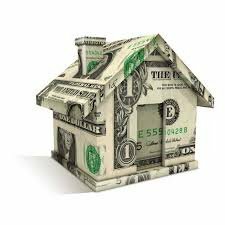 [NOTE: Very important – if you really need to sell fast, consider the option of selling for cash offer to a qualified and honest local real estate investor like Cream City Home Buyers. Simply fill out a contact form or give us a call at (414) 488-0082! Your basic two options are to sell to someone paying cash or someone obtaining a mortgage. Traditional buyers will almost always be obtaining mortgages, in 99.9% of cases. With underwriting, overlays, mortgage restrictions, buyers losing jobs or being laid off, or any number of the hundreds of things that can go wrong trying to obtain a mortgage during a real estate transaction, a financed offer is far from a guarantee. But, selling my house fast in Milwaukee, mortgages are probably not the best option. Not only do they take a very long time 45-60 days (or even longer if you’re talking about rehab loans), but on top of that you have the buyer’s uncertainty and the lender’s uncertainty. 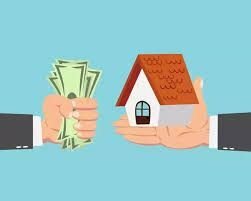 To avoid having the buyer pull out at the last second because of financing… one option is to sell your house to a local investment firm like us. If you really want to sell your Milwaukee house fast, you’ll be shocked how quick and painless we can make this process. We may not be able to pay as much, but we can pay cash and make the process totally pain free. That means we can close quickly and we don’t have to wait for a bank loan to come through. You get your sale done and cash in hand quickly. So stop contemplating “selling my house fast in Milwaukee” and simply give us a call. We’ll do our very best to solve your problem and get you as much cash as we possibly can, as fast as we possibly can. You can get a fair cash offer from us actually today. We’re buying properties in the broader Milwaukee, Wisconsin area, which we’re local to… and we buy Milwaukee houses … then we either hold them as rentals for ourselves… or we’ll repair / remodel the house if it needs it and sell it to someone who loves the house. If your local Milwaukee property qualifies, we can buy your house fast. Sell my house fast in Milwaukee doesn’t have to be so difficult at all. We also buy houses all over Waukesha County. Just fill out the form or pick up the phone and call us anytime at (414) 488-0082!